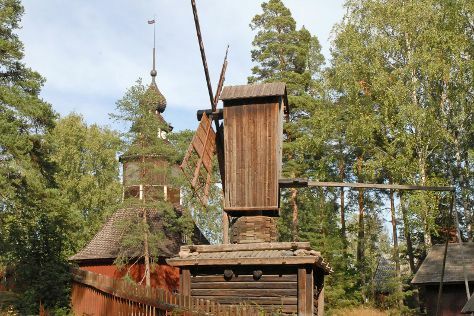 Step off the beaten path and head to Seurasaari Island and Open-Air Museum and Room Escape Games. Explore the numerous day-trip ideas around Helsinki: Porvoo (Cathedral of Porvoo & Porvoo Old Town). Pack the 3rd (Wed) with family-friendly diversions at Linnanmaki Amusement Park. There's still lots to do: hunt for treasures at Hakaniemi Market, admire the masterpieces at Kansallisgalleria, stroll the grounds of Hietaniemi Cemetery, and get a new perspective on nature at Natural History Museum (Luonnontieteellinen Museo). To see where to stay, photos, and other tourist information, you can read our Helsinki online trip planner . Bangkok, Thailand to Helsinki is an approximately 14-hour flight. You can also do a combination of flight and train; or do a combination of flight and ferry. You'll gain 5 hours traveling from Bangkok to Helsinki due to the time zone difference. Traveling from Bangkok in July, things will get cooler in Helsinki: highs are around 25°C and lows about 15°C. Wrap up your sightseeing on the 3rd (Wed) early enough to travel back home.